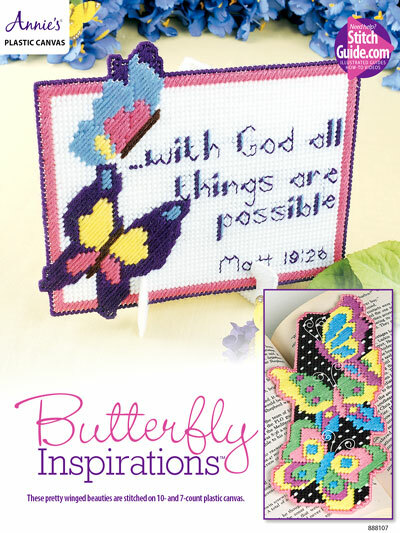 Pretty winged beauties are stitched on an inspirational sign and bookmark. 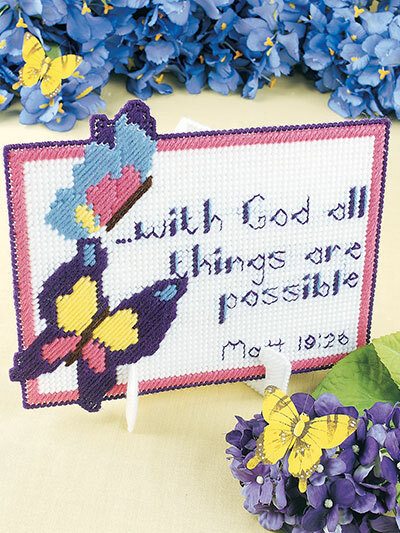 The sign is made using 7-count plastic canvas and worsted-weight yarn. 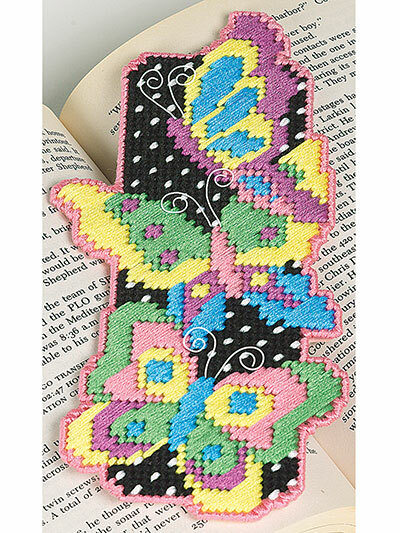 The bookmark is made using 10-count plastic canvas and 6-strand embroidery floss. Size: sign: 10 1/4"W x 8 3/8"T; stand: 8 7/8"W x 7 3/8"T; bookmark: 3 5/8"W x 7 3/4"T.